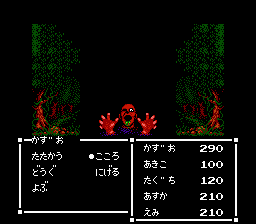 NES Sweet Home (JPN) in 40:05.09 by K.
Sweet Home is a survival horror RPG developed by Capcom for the Famicom. It is based on the Japanese horror film of the same name. The game is sometimes perceived as the original survival horror game, and was a prototype of the Resident Evil series.